Thanks to the rise of eCommerce, business owners, service providers and retailers have all taken to creating online stores. eCommerce has certainly made trade faster and much more convenient for buyers and sellers alike. Most people believe that setting up an eCommerce website takes a lot of effort. True, to build an eCommerce website from scratch, you’ll need plenty of technical skill, time and of course, money. However, you can instantly create a functional eCommerce website simply by purchasing a domain and webhosting and by using free eCommerce WordPress themes. But, how do you go about choosing the best free eCommerce WordPress themes with thousands of themes out there? Don’t worry – I’m here to help you out. Continue reading this post as I list 20 of the best free eCommerce WordPress themes being used in 2017. When you’re done reading, you’ll have a better idea of which theme is more suited to your needs. MaxStore is one of the best free WordPress eCommerce themes I’ve seen in 2017. This WordPress theme is superfast and is based on responsive design which integrates with the WooCommerce plugin. MaxStore works perfectly well in creating any kind of eCommerce websites and it is ideal for creating both small and large business websites. In fact, many free eCommerce WordPress themes are stripped-down versions of MaxStore. I just love MaxStore for its interactive hover effect which makes shopping a much more engaging experience. Other highlights of this theme are the grid layout for displaying products and various call-to-action button placements. This allows you to effectively display your most popular products and you can also promote or even upsell related products. 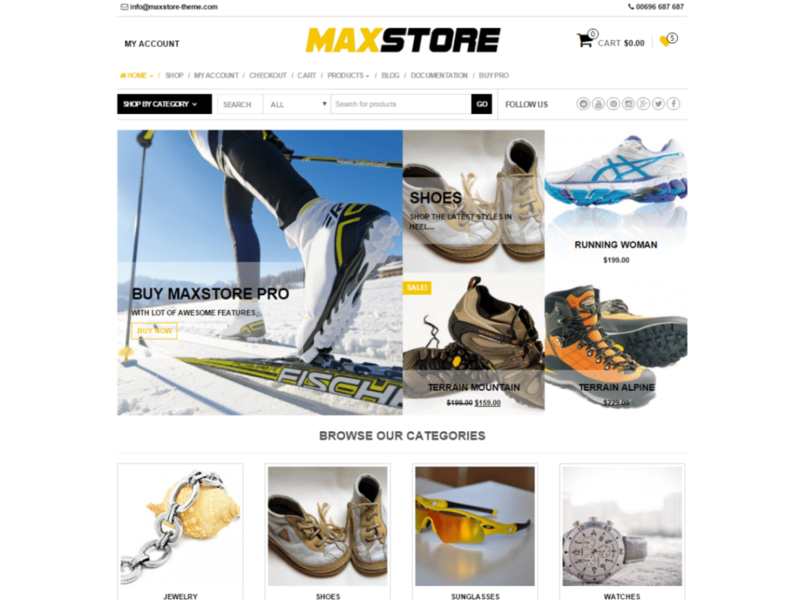 For a free, fast, responsive and full WordPress eCommerce theme, MaxStore is certainly an excellent choice. This SEO friendly theme also supports most WordPress plugins, making it highly functional. And, the easy customization options of MaxStore allows you to design your eCommerce website just the way you want to! The Store is actually a stripped-down version of MaxStore, which allows business owners to set up an eCommerce website in no time at all. Despite being touted as a child of MaxStore, this theme offers plenty of functionality and customization options. In fact, you can use this theme to create any type of eCommerce website in lightning quick time. This free WordPress eCommerce theme is intuitive and very easy to use. Personally, I love its modern design which is perfect for creating an online store in 2017. This fully responsive theme is also SEO optimized and boasts of an incredibly fast loading time. Some other highlights of this theme include homepage sliders, configurable homepages, Wishlist support and product search with category select. You can also customize the theme, its color scheme and even place a background image. If you’re looking for a theme that allows you to build an eCommerce website effortlessly and quickly, you can’t go wrong with The Store. 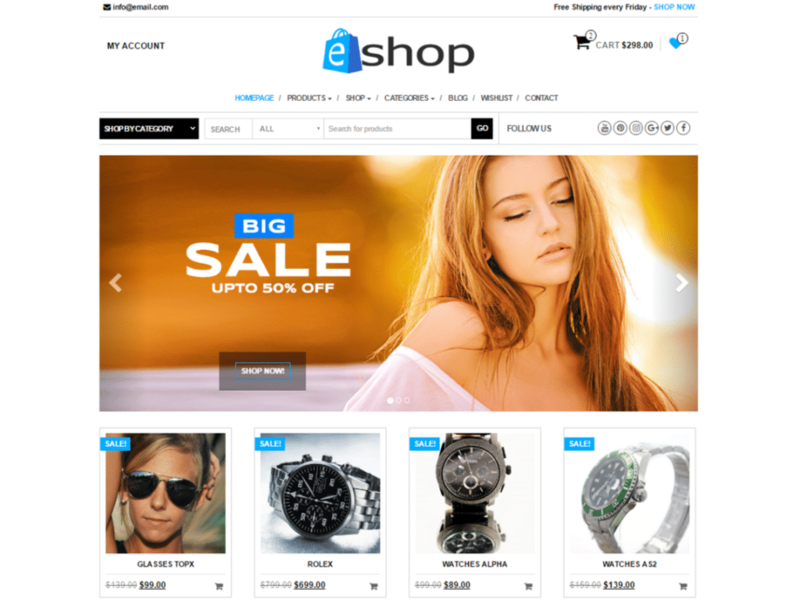 e-Shop is another child theme of the popular MaxStore eCommerce WordPress theme. This multipurpose and free theme works perfectly well for creating any kind of eCommerce website. It also includes plenty of customization options, allowing you to design your storefront the way you want. While e-Shop may be a stripped-down version of the powerful MaxStore, it is highly functional. The e-Shop theme is compatible with most WordPress plugins and it is also very easy to use. And, the theme features a modern design, making it the perfect choice for building an eCommerce website in 2017. Some things to love about e-Shop include its customization options, homepage sliders and configurable homepages. Depending on your preferences, you can design your website with a right or left sidebar using this theme. e-Shop is a fast-loading theme and is a wonderful choice for small business owners looking to dive into eCommerce. I’ve seen the Online Store WordPress theme being used in many eCommerce websites this year. This multipurpose theme is yet another child theme of MaxStore, but it is highly functional and customizable. In fact, despite being a child theme, you can use it to create just about any type of online store. There are quite a few things to love about the Online Store theme. First is its ultra-modern design, which looks incredibly striking and appealing to the eye. This theme also includes plenty of options for customization which are easy to understand and use. And, the Online Store theme is SEO optimized and fully responsive as well. So, if you’re looking for a light and ultra-fast free eCommerce WordPress theme, you won’t go wrong in choosing Online Store. This theme offers you everything you need to get started with your new eCommerce website. If you’re looking for a free WordPress eCommerce theme specifically for building a clothing/fashion online store, Fash Store is an excellent choice. This free theme is fully responsive and it includes plenty of features to help you create a beautiful and robust online store. And, its deep integration with WooCommerce and other WordPress plugins makes it a complete theme for building fashion websites. Fash Store is a child theme of the flagship AccessPress Store WordPress theme. As such, great care has gone in designing this theme to make it look modern and feature-rich. This next generation theme offers an intuitive shopping experience to users and it is fully customizable as well. You can customize colors, fonts, sliders, background images, layout configurations and much more! One thing I absolutely love about Fash Store is the YouTube video integration. This allows you to showcase product videos right on your homepage. The theme also includes built-in widgets for added features and functionality. When it comes to finding a complete package for building a fashion eCommerce website, Fash Store is one of the best. Azera Luxury is a free eCommerce WordPress theme which is highly popular with small business owners all over the world. The Azera Luxury theme is fully responsive and it also features deep integration with WooCommerce. You can create a great looking and functional online store using this theme just by tweaking a couple of settings. Of the many free eCommerce WordPress themes, nothing looks as elegant as the Azera Luxury. This theme features a classic grid layout and allows you to create a one-page online store in minutes. It also features the scrolling parallax effect and it offers a great shopping experience to users. Azera Luxury may be a free theme, but it is packed with plenty of features. In fact, this free theme easily rivals some paid eCommerce themes, both in terms of looks and functionality. Azera Luxury is a must for anyone who is bootstrapping but needs to build an online storefront with full features and functionality. 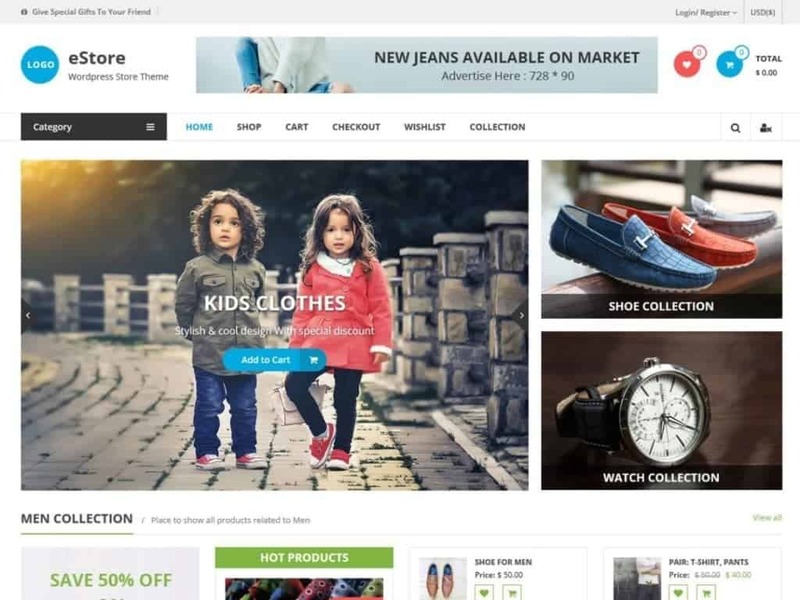 eCommerce Store is yet another child theme based on the ultra-popular MaxStore theme. This lightweight, fully responsive and well-designed WordPress theme allows you to build any type of eCommerce website. Its highly engaging modern design allowss you to offer a great online shopping experience to your customers. eCommerce Store includes most of the features and functionality of its parent theme. It includes endless theme customization options, deep integration with WooCommerce and is SEO friendly as well. It also allows you to display your products in any manner that you like. And, thanks to its clean and validated code, this theme offers ultra-fast loading times. For a free WordPress theme, eCommerce Store is backed by proper documentation and theme demonstrations. As such, you’ll find it very easy to get started building a website with this theme, even if you’re an absolute beginner. Another stripped-down version of MaxStore, Layer Store is a popular free eCommerce WordPress theme with startups and business owners in 2017. Despite being a child theme, it includes most of the features of the parent theme and is fully functional. You can use Layer Store to build any type of eCommerce website. Of many free themes, most of them are difficult to use, especially for beginners. However, you’ll find none of that with Layer Store. Layer Store is incredibly intuitive, straightforward and easy to use, even for people with limited WordPress experience. It also includes many useful features that allow you to set up your online store in a few minutes. Layer Store is SEO-optimized, fully responsive, lightweight, highly configurable and boasts of a clean, modern design. It is also well documented and there are plenty of theme demonstration videos to help you get started. So, if you’re looking for an easy to use free eCommerce WordPress theme, Layer Store makes for an excellent choice. eStore is a fully responsive, beautiful, clean and fully customizable free eCommerce WordPress theme. Despite being a free theme, eStore is packed with plenty of premium features and it also includes various custom widgets. You can use this theme to create a professional looking and well-organized website with no effort at all! eStore is fully compatible with a number of WordPress plugins, including WooCommerce and YITH WooCommerce Wishlist to name a few. This plugin compatibility allows you to offer a fantastic online shopping experience to your customers. Whether you’re just starting a new business or you want to open an online store for your existing business, eStore will work wonderfully well for you. In fact, this theme will also make it easier for you to attract customers and sell more products. 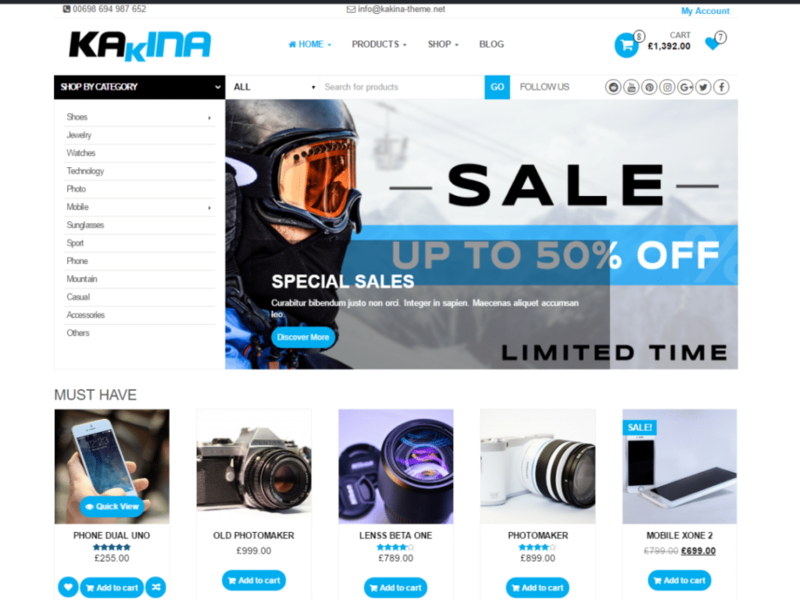 Kakina is one of the most popular free WordPress eCommerce themes of 2017. This WooCommerce based theme is fully responsive and works perfectly across all mobile devices and web browsers. It is perfect for creating any kind of eCommerce website. While there are many free eCommerce WordPress themes out there, Kakina is one of the fastest. This is thanks to its lightweight design and clean and validated code. Kakina is built on Bootstrap, CSS3 and HTML5 and it allows you to design a beautiful online store with minimum effort. Some highlights of this theme include deep customization options, SEO-friendly, translation ready and lightning fast theme. Kakina scores well on functionality, performance, design and layout, customization, documentation and support, making it an all-rounded theme. For a free WordPress eCommerce theme, Kakina sure offers a lot. Shopisle is a clean and elegant WordPress theme specifically designed for creating eCommerce websites. 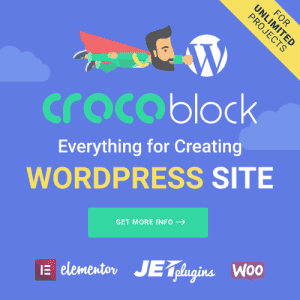 It is highly customizable and this free theme features deep integration with WooCommerce and other popular WordPress plugins. And, it includes plenty of theme options, which allows you to create a beautiful online store in minutes! This WordPress eCommerce theme is fully responsive and compatible with most modern web browsers. It also features a clean and validated code and is translation ready. Other notable highlights of this theme include customizable banners and sliders, category product display, YouTube video integration and various color, image and footer customization options. And, ShopIsle also allows you to create a functional contact form and a beautiful About Us page – something which most free themes don’t offer. 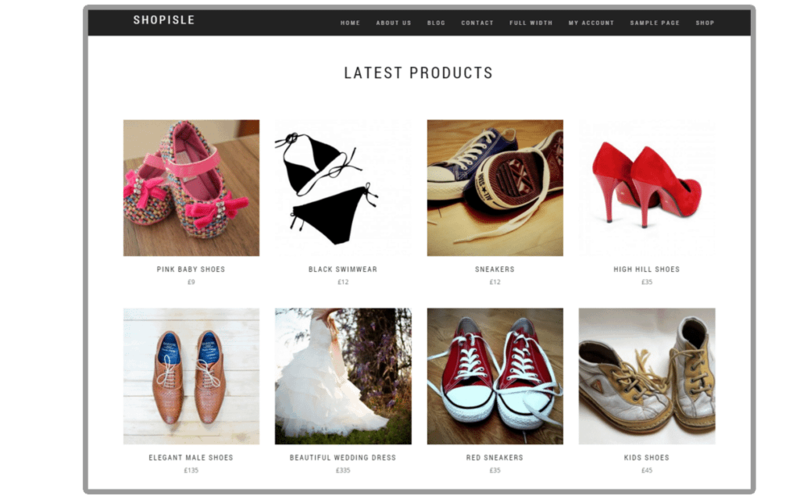 For a free eCommerce WordPress theme, ShopIsle certainly offers a lot. No wonder it’s one of the most popular free themes in 2017. 8 Store Lite is one of the top-rated free eCommerce WordPress themes of 2017. This free and feature-rich theme helps beginners create an online store easily and effortlessly. This theme boasts of a clean and modern design, which allows you to display your products in the best manner. 8 Store Lite may be a free theme, but it sure includes plenty of features and functionality. Some highlights include full width/boxed layout, product sliders, configurable homepages, featured products, YouTube video integration, multiple category display and much more! With so much on offer, this free theme easily rivals some premium quality eCommerce themes. 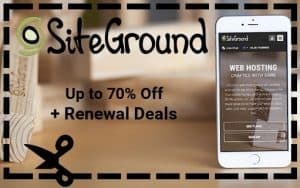 If you’re looking for a reliable and free eCommerce WordPress team which is backed by support, 8 Store Lite is a fantastic choice. It scores very well on all counts including speed, design, code quality, customization and support. You really can’t go wrong in choosing this theme for your new online store. For a high quality, yet free eCommerce WordPress theme, Giga Store is perfect for you. This elegant WooCommerce theme is fully responsive and allows you to create any kind of online store with little effort. It also offers a range of features and functionality, making it a complete eCommerce theme. Even if you’re a WordPress beginner, you’ll find it very easy to build an eCommerce website with the Giga Store theme. It is highly customizable, fully responsive, SEO-friendly and features deep integration with popular WordPress plugins including WooCommerce. Giga Store includes plenty of functions, allowing you to design your website in any way you want. It also features social links, custom icons and backgrounds, left/right sidebars, product sliders, testimonial section, blog section, carousel and much more. This free theme is perfect for beginners and intermediate WordPress users alike. Alpha Store is a free theme specifically designed for creating eCommerce WordPress websites. This modern looking and fully functional theme is suitable for creating any type of online store. Its eye-catching design will instantly attract customers and push them towards making a purchase. Alpha Store is fully responsive, SEO-friendly and is compatible with a number of WordPress plugins, including WooCommerce. It is also multilingual and translation ready and comes with a built-in theme customizer. You can use it to create a fully functional eCommerce website in a matter of minutes. 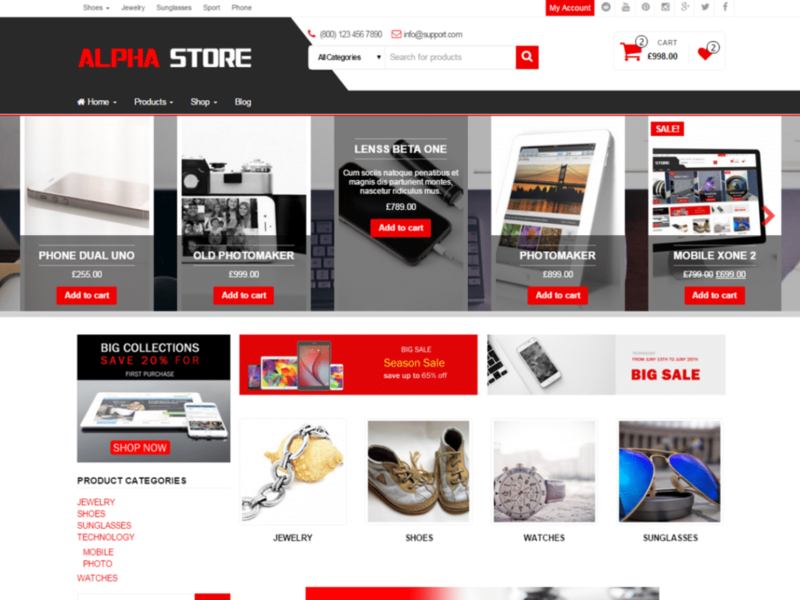 Alpha Store is a fast-loading and lightweight theme which has been developed using CSS3 with Bootstrap. I love the smooth HTML5 animations of this theme, as also the unlimited customization options. Alpha Store also supports quick view, Wishlist and plugin comparison, making it an all-rounded eCommerce WordPress theme. Unlike most other free eCommerce WordPress themes, Hestia is a fully functional theme which is suitable for creating any type of website, including eCommerce websites. In fact, Hestia is one of the most popular WordPress themes being used in 2017. It is based on material design, is fully responsive and works great for startups and small business websites alike. There are many reasons behind Hestia’s popularity. First is its clean and modern design, which allows you to create a functional and beautiful website. It is also SEO-friendly, fully responsive and is translation and RTL ready. Hestia also comes with a built-in live customizer and is compatible with WooCommerce and other WordPress plugins. I also love the drag-and-drop builder compatibility that Hestia offers. It may be a free theme, but it sure packs a punch in terms of features and functionality. And, Hestia is also backed by a good support theme – something that you cannot expect from most other free themes. For a modern looking, clean and beautiful free eCommerce WordPress theme, you can’t go wrong with Sparkle Store. This fully customizable and fully responsive theme works perfectly across all web browsers and all mobile devices. And, it features a bright and minimalist look, which offers a highly engaging shopping experience. Sparkle Store is ideal for creating any type of online shopping website in a matter of a few minutes. It is deeply integrated with WooCommerce and comes with all the functionality you need to create an eCommerce website. I love several things about the Sparkle Store theme. 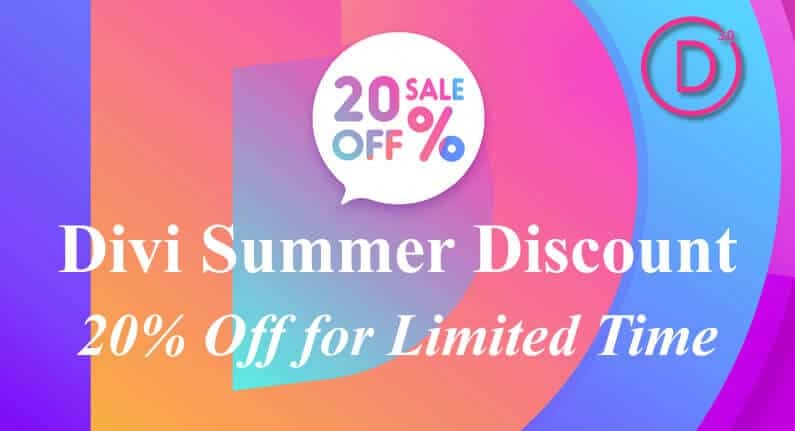 Its stylish looks, various add to cart options, easy payment options, quick view, custom widgets, built-in customizer, SEO-friendly, translation ready and quick speed make it a complete eCommerce theme. And, Sparkle Store is also backed by incredible support and proper documentation, making it one of the best for 2017. StoreVilla is one of the most elegant free eCommerce WordPress themes to have come out in 2017. Despite being a child theme of the AccessPress theme, StoreVilla works as a complete eCommerce package. It includes all the features and functionality required to build any kind of eCommerce website. While there are many things to love about StoreVilla, for me the modern and clean design does it all. This theme allows you to create gorgeous and easy to use online shopping websites in a matter of minutes. And, Storevilla comes with a built-in customizer tool, allowing you to design your website just the way you want to. Some highlights of StoreVilla include custom widgets, unlimited sliders, advanced product search, 4-page layout, background configuration, custom homepages and much more. It is the perfect theme for anyone looking to start an online store of any kind. For a clean, fully responsive, customizable and modern looking free WordPress eCommerce theme, Shopera is an excellent choice. This free theme features deep integration with WooCommerce and other popular WordPress plugins and works great on all mobile devices. You can use this theme to build a fully functional eCommerce website in no time at all! Shopera may be a free theme, but it includes plenty of premium quality features. The theme is ultra-responsive, retina ready, multilingual and translation ready and offers advanced customization options. Unlike many other free themes, Shopera comes with extensive documentation where you can find everything about using this theme. Regardless of what type of web store you’re looking to create, you can do it all with Shopera. No wonder Shopera is rapidly growing in popularity with small business owners all over the world. iStore may be a child theme of the popular MaxStore WordPress theme, but it is fully functional as an eCommerce theme in itself. This free theme includes many of the features of its parent theme and you can use it to create any type of eCommerce website. iStore is also very easy to use and is highly intuitive, making it the perfect choice for beginners. While iStore is a free theme, it offers plenty of customization options that are easy to implement. It also integrates with WooCommerce and includes essential eCommerce functionality. It is also SEO-friendly, fully responsive and features lightning quick loading speeds. For a free WordPress eCommerce theme, iStore is backed by extensive documentation, support and theme demonstrations. iStore is rapidly gaining popularity with WordPress beginners looking to create their first online store in 2017. Given that it is so easy to use and get started, it’s not difficult to see just why iStore is just so popular. So, there you have it. These are my top 20 picks for the best free eCommerce WordPress themes of 2017. Sure, there are plenty of other free themes out there. But, this list has been carefully curated, considering the popularity of the themes and customer reviews. Go ahead and choose any of these free themes to build your first online store. These themes will enable you to build a beautiful and fully functional eCommerce website with little to no effort. Do you already make use of these free themes in your websites? Would you like to recommend a theme that I have not included in my list? Do leave me your comments in the section below and I’ll be glad to hear from you! Thanks for the informative blog! Really helped me a lot!